The draw for France 2019 is complete! The six groups of the 2019 FIFA Women's World Cup were determined on Saturday, December 8, at the draw in Paris. Defending champions USA will feature in Group F alongside Thailand, Chile, and Sweden. The Real Madrid star desperately wants to win a trophy for his homeland. PSG's striker scored an absolute stunner to double Uruguay's lead against the Czech Republic. Los Charrúas will face Wales in the tournament's final. Russia beware, Uruguay's frontline may complicate things for you! The South American side is warming up for this summer's tournament with a number of friendlies in China, and what went down today was simply stunning. The Welsh star helped the Dragons to kick off Ryan Giggs' era as boss with a 6-0 win over China. The 2017-18 season might have been quite frustrating so far for Gareth Bale, but he found enough reasons to smile about. Ernesto Valverde remains at ease with regards to speculations surrounding the future of Andres Iniesta at Barcelona. And the punishment for failing to resolve this issue could leave the league in shatters. The Chinese Super League has been rocked with scandal that will gravely hurt their appeal to foreign players. According to reports (as per the Daily Mail), several of the country’s top teams have been accused of failing to pay their players properly. Young Brazilian Kennedy angered the nation with his Instagram posts in the build-up to their Arsenal clash. Chelsea are facing a possible China ban and the loss of the nation’s huge Premier League market, according to Goal. This punishment is due to an awful Instagram post made by young Brazilian player, Kennedy. The former Newcastle ace suffered a heart attack and collapsed during training. Today, tragic news emerged of the passing away of former Newcastle midfielder Cheick Tiote. The 30-year-old, an Ivorian international, sadly died in China. Australia and Korea will be eager to get back on track as they take on the UAE and Syria on Tuesday, March 28th. 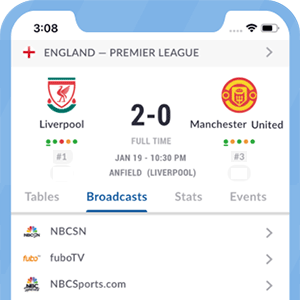 LiveSoccerTV.com provides all the info to catch those games and more. 2018 World Cup qualifying resumes for Australia, South Korea, China, Japan, Thailand, and more this Thursday. LiveSoccerTV.com provides info to tune into China-South Korea, Iraq-Australia, and more. And the Englishman sadly won't get a farewell befitting of his illustrious Red Devils career. Wayne Rooney’s time at Manchester United is nearing its end. The Englishman, once the league’s best striker, is now only a fraction of what he used to be, and thus struggles to make his own team’s starting eleven. Chelsea might need to replace their talisman this summer, as he is reportedly ready to leave London. Chelsea are marching towards the English Premier League with the help of their stern defense and lethal attack. However, the latter is in grave danger, as reports claim that Diego Costa has already agreed to a London exit. Diego Costa has responded to the rumors linking him with a move to China in the most Diego Costa way. The Englishman's time at Old Trafford appears to be over, having broken the club's all-time goalscoring record. It wasn’t long ago when Wayne Rooney had to go public to deny claims of a move to China. Now, speculation of a transfer to the Far-East is back in the headlines. And he will almost triple his wages along the way. China is known for flexing their financial power in the transfer market, and they have done it again, this time luring a Real Madrid ace to the Far-East. The Red Devils' all-time leading scorer has been linked with a move away from Old Trafford. Having broken Manchester United’s goalscoring record, rumors emerged linking Wayne Rooney with a move to Manchester United. Now, he has spoken about his future with the Red Devils. The Ivory Coast midfielder runs out of contract this summer, but he prefers an EPL stay if the Sky Blues don't offer him an extension. It seems like not every footballer in the world is seduced by the power of Chinese money. Rumors of a Stamford Bridge exit have picked up pace after the Spaniard clashed with the Chelsea boss. The Bayern Munich star was also subject to a record-breaking bid from the Chinese Super League. The Chinese Super League is growing in appeal and in ambition, thus the continuous bids for some of Europe’s deadliest players come as little surprise. Cristiano Ronaldo was a reported target, as well as Pierre-Emerick Aubameyang.